Congratulations! Viasat is available in . We’re having trouble locating service options for your area. Give us a call and one of our internet specialists can help get you connected! Liberty Pass Keep using the internet even if you go over your Priority Data. Depending on the specific unlimited data service plan available at your location, after you use the following amount of data, we may prioritize your data behind other customers during network congestion: Bronze 12 (35 GB or 40 GB, depending on your specific plan); Silver 12 (45 GB); Gold 12 (65 GB); Bronze 25 (35 GB); Silver 25 (60 or 100 GB depending on your specific plan); Gold 30 (100 GB); Gold 50 (100 GB); and Platinum 100 (150 GB). Not all video sources are identifiable and available benefit from the Video Data Extender. Minimum 24 month service term .The Basic 25 service plan includes 12 GB of Priority Data. Customers who use more Priority Data than their service plan provides will receive Liberty Pass for the remainder of their monthly billing period. Liberty Pass speeds are slower than Priority Data speeds and will vary greatly based on the time of day and network traffic in your area. Liberty Pass speeds may be extremely slow when the network is busy, which may greatly impair internet usage. Heavier users of Liberty Pass may experience slower speeds than lighter users. For details see the Data Allowance, which you can view at www.exede.com/legal. Choose the efficient and reliable service that Viasat provides. We’re dedicated to providing your home with the upload and download speeds that you need for streaming, shopping, surfing, and beyond. Don't Wait on the Phone. We'll Call You! You don't have to wait on the phone to order new internet service. Simply fill out the short form and one of our service reps will call you. By clicking "Contact Me! ", you consent for ViasatSpecials.com and partners to use automated technology , including pre-recorded messages, cell phones and texts, to contact you at the number provided. This includes if the number is currently on any Do Not Call Lists. This consent is not required to make a purchase. We got your information and will call you soon. I’ve been very happy with Viasat Internet service and the contact people when I need to speak to someone are super friendly and know what they are talking about! I’ve used their service now for over 2 years and had them twice before when they were Wild Blue and Exede but now Viasat…I’m a happy internet customer. Thank you Wild Blue, Exede, and Viasat for making living in the country a lot better! I was with the big cable company for internet for decades and moved to the country where they don’t do service. We searched for a satellite service and we were SO lucky to find Exede (Viasat)! They have terrific satellite service, improving all the time, and their plans are increasing which works perfect for us. I have been an Exede (Viasat) customer for 5.5 months with NO issues. We are happy with the service we have received and the performance of the internet & phone. It is not perfect but no system is. Even the service we had in town had issues. We actually had a lot more problems in town than we have had since moving to the country. Thank you, Exede! 1The price lock guarantee applies only to the standard monthly internet service fee and the monthly equipment lease fee (in each case, before any promotional discounts) and excludes all taxes and surcharges. The price lock guarantee runs for 24 consecutive months from the date of account activation, requires that the customer’s account remain in good standing, and may terminate with certain account changes. 2New customers in participating sales channels who order Viasat Voice at the same time they order Viasat Internet will receive a savings of $10 per month on their Viasat Voice service for the first six full months of services provided they continue to receive both services. Existing Viasat Internet customers in participating sales channels who add Viasat Voice service will receive a savings of $10 per month on their Voice service for the first six months of Viasat Voice service provided they continue to receive both services. 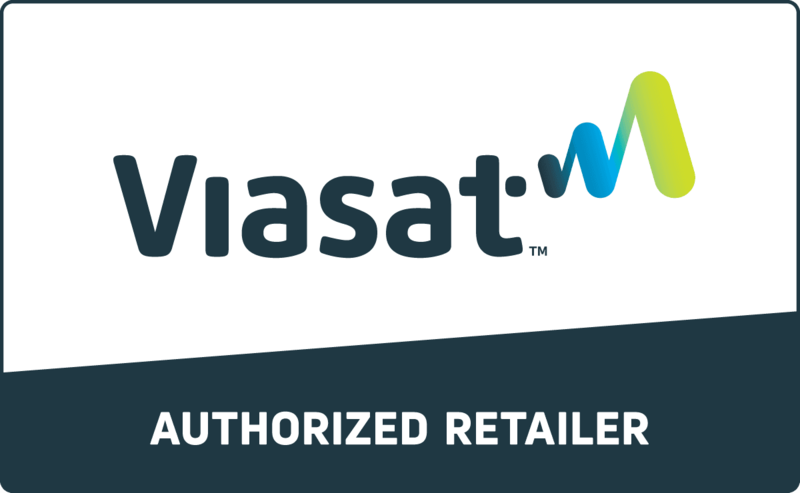 ViasatSpecials.com is an authorized retailer of Viasat. Viasat logos are trademarks, registered trademarks and/or service marks of Viasat. and/or its affiliate(s). The Viasat trademarks, registered trademarks and/or service marks are used under license of Viasat and/or its affiliate(s). 5202 W. Douglas Corrigan Way, Ste 300, Salt Lake City, UT 84116. This site is not owned by Viasat. This site is owned by Clear Link Technologies, LLC, an authorized Viasat retailer.